Google AdWords like many activities, if set up correctly with clear business objectives in mind, can be highly successful in driving revenue. In depth research, careful planning and setting up the campaigns using a logical structure that best suits the desired outcome, will drive return on investment. Too many times businesses set up campaigns without really thinking through in detail, what they want to achieve and without having the AdWords expertise, to best use all of the AdWords functionality in order to achieve what is important for them. More importantly, they don’t set measurable Key Performance Indicators (KPI’s), which will clearly show how well (or not) their campaigns are working to achieve their business objectives. AdWords can be expensive and very competitive. It’s about making it work to your businesses advantage, focusing on where your business can get highest quality clicks, and convert them into revenue. 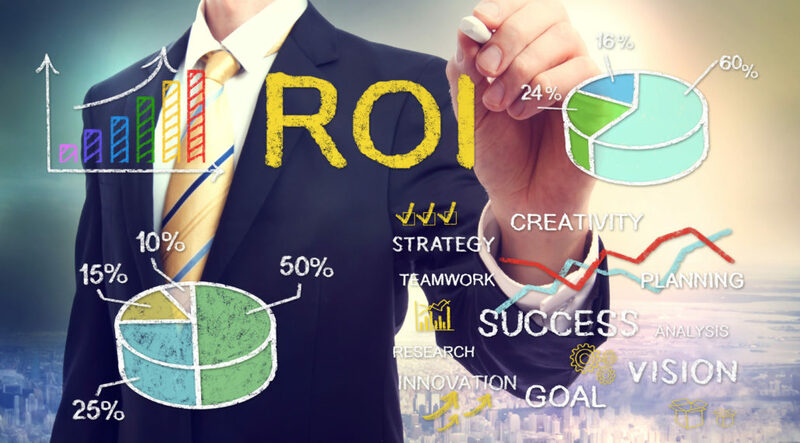 Be clear on the return on investment you need to achieve to make the campaigns work for you. Google will recommend numerous options to you from first page bids to new opportunities relating to keywords. However, don’t be lured by impulsive ‘opportunities’. Stick to your strategy and your plan and make decisions around all these areas based on what is feasible for your business and what will generate the specific results you are looking for. That said, if the strategy you are using isn’t delivering, tweak/change it. It is imperative that you manage your campaigns very closely and test and tweak your campaigns until they are delivering the right results. Think of search terms that are most relevant to your type of business. 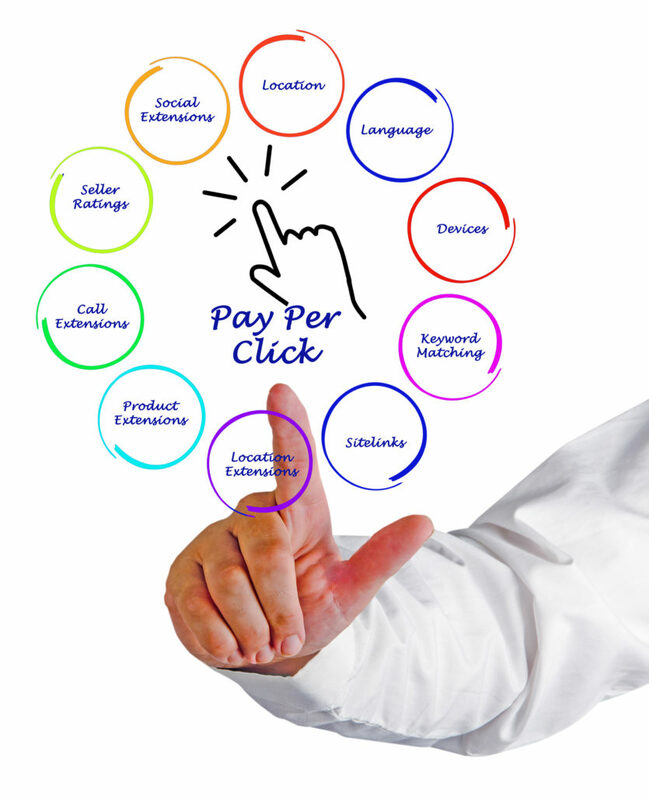 Keywords are one of the main areas where we see campaigns spending large amounts of advertising budget. The natural impulse is to use keywords which bring in the highest number of clicks, but with AdWords, it’s about quality not quantity. If you are selling running shoes online, rather than just targeting ‘running shoes’, you may target exact keyword phrases terms like ‘buy running shoes online’. e.g. if you offer locksmith services you might benefit from using terms like; ‘locksmiths near me’, ‘locksmiths nearby’, ‘closest locksmiths’ and ‘local locksmiths’. Check the ‘distance report’ frequently to see how far the customer was when they saw your ad. This can be found under the “Dimension” tab. Choose ‘Distance’ from the ‘View’ drop down. As you can see the more broad your term is, the bigger reach you have. But are you reaching the right people? People are not always clear on keyword match types and their impact. AdWords allows you to designate each keyword/key phrase as broad match, broad match with modifier, phrase match, and exact match. Broad match will always bring in the highest number of clicks because it gives license to Google to interpret your keywords in many different search queries. Exact match is the opposite — it ensures that Google only shows an ad if an exact key phrase is queried. (Note that in 2017, Google broadened exact match to allow for common spelling mistakes and very close variations). Maximizing your AdWords campaigns relies on striking the right balance between match types, relying mostly on phrase and exact matches with a sprinkling of broad modified match terms. Be clear on the possible outcome of using each of the different match types and the impact they have in relation to displaying your ads. When setting up your campaigns and AdGroups initially, take the time to break out your AdGroups in detail. There are numerous different strategies you can use. Know the reason behind the strategy you decide to use and monitor it very carefully, while testing and monitoring performance very regularly, especially in the initial period. A strategy you can take might be to set up SKAGS (Single Keyword AdGroups), where each search term you are targeting goes into its own AdGroup with different match types. E.g. modified broad match, exact match and phrase match. (We wouldn’t generally set the term on ‘broad match’ here). SKAGS allow you to have super relevant ads to the search terms you are targeting, resulting in higher click through rates and thus improved quality score and various other benefits, all of which impact your advertising costs and results. Identify why these irrelevant clicks came in. Do you need to modify your keyword match types to avoid further irrelevant clicks in this specific AdGroup? Or do the additional impressions you get outweigh the negative clicks. E.g. will changing the match type of the term that allows these negatives in, block other clicks that are relevant? Add the term as a negative in all match types that are relevant. Yes, you say this is an obvious step. However, many businesses are not aware of the importance of adding the relevant match types as negatives. Match types don’t behave exactly the same as negatives, as they do as part of the search campaigns. Each match type has a purpose so be sure to use the match types that achieve what is relevant for your AdGroup or campaign, or both. Broad Match Negatives: If you add a negative term as a broad match, it will block out where someone uses both of the terms together. However, negative broad match will not block out ads where someone searches for only one of the terms on its own. Phrase Match Negatives: Exclude your ad for searches that include the exact keyword phrase. If a search includes additional words, the ad won’t show as long as the keywords are included in the search in the same order. If someone searches for only one of the terms in your selected phrase, your ad will still appear. For example, if your negative is “AdWords Agency” and a user searches for DIY AdWords, your ad will still appear. This also means that if additional words are used in the search query, such as ‘AdWords Services Agency’, your ad will still appear as ‘AdWords’ and ‘Agency’ are not next to each other in the search query. Some examples of negative keywords. Exact Match Negatives: This adds the exact terms, without extra words. Your ad may still show for searches that include the keyword phrase with additional words. When using exact match negatives, unlike the behaviour of exact match as a match type in your campaign, (which picks up variations, since March 2017), exact match as a negative phrase only blocks that exact term. So adding [AdWords Agency] as a negative does not block ‘AdWords Agency Ireland’ or ‘AdWords Agencies’. Close variants (any misspelling, singular or plural form, acronym, stemmings, abbreviations of the keyword) do not apply for negative keywords. So, should you want to block any variant too you have to add them separately as a negative keyword. Automate the process. Once you’ve figured out all your negative keyword terms, set up negative lists, to save you some time. Then it’s easy to apply lists to any new Campaigns, and where you need to add further negatives to a list, it means they are automatically applied to any instances of where that list is used. 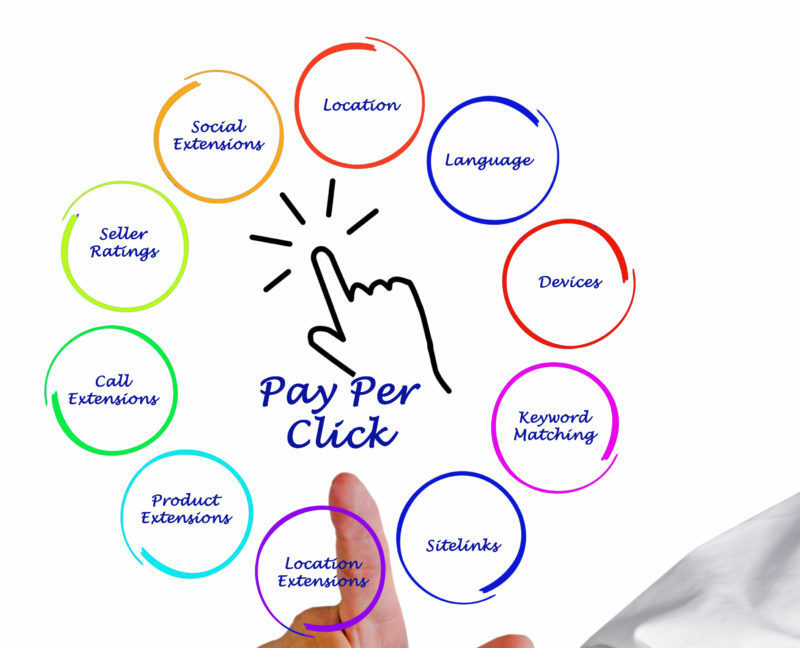 AdWords bid adjustments use manually set percentage changes, in order to increase or decrease the weight of your maximum cost per click bid amounts. The result is more control over when, where and to whom your ads show and better targeting of segments based on their likelihood of converting. With Bid Adjustment, you get greater flexibility, within the same campaign. Previously, in order to achieve this, you would have to set up individual ad groups for each segment. For example, if you know that people who live in Dublin are more likely to convert, than those living in Cork, you can set negative bid adjustments for the Cork in relevant campaigns, meaning that Cork will get impressions/clicks at a certain (lower in this case) bid level, thus prioritising impressions/clicks for Dublin. Ad extensions are very powerful way of delivering a more customised ad to each user. These more individualised ads often deliver higher click-through rates, improve quality score and simply make your ad more prominent on search results. Use every Ad Extension available and applicable to your campaign. Setup is easy and the results can be impressive. It’s important to customise to AdGroup level, where it makes sense to do so. Rather than setting up a few top level extensions, customise them to suit your AdGroup level ad copy, you will find they will perform far better. From text message extensions, which allow Google searchers to send you a text, to structured snippets to app downloads, there are now a great range of options to use to promote the important aspects of your business to highly targeted potential customers, and offer them a range of ways to get in touch with you, depending on what suits them (and you) best. Remarketing is a PPC strategy that targets people who have already visited your website and/or bought from your website. Dynamic Remarketing shows dynamic image ads for specific products and services that a visitor has previously looked at. For example, if you’re looking at a stainless steel crockpot on Amazon, Jeff Bezos can use dynamic remarketing to create an ad using the exact same model on a display ad on your favourite blog. To use dynamic remarketing you must also have a Google Merchant Centre account. 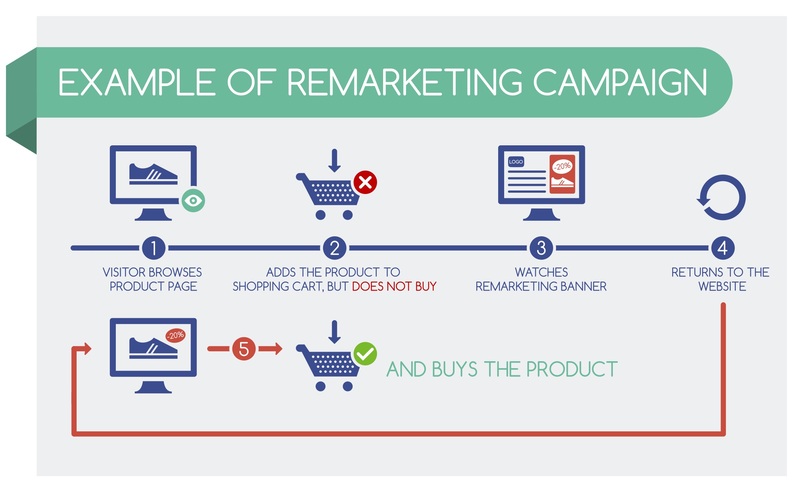 An outline of your typical remarketing campaign. While businesses managing their own campaigns are familiar with the areas discussed, often AdWords management isn’t an ongoing priority, resulting in campaigns not being structured to meet business objectives and campaigns not getting the required time to optimise them. Functionality is often applied without understanding how best to use it for the campaigns in question. As Google AdWords becomes more automated, agencies will show their true value by ensuring business objectives are being addressed through campaign set up, structure and ongoing management and through strong communication with businesses on their markets and objectives. If you are currently managing your own campaigns and would like an AdWords review to see how you are doing, please get in touch with us at WebResults.